Beautiful and original clothing for your special occasion. At mélange we pride ourselves on our range of quality clothing from the latest collections from top designer names, who are renowned worldwide for their high quality fit and materials. Whatever the occasion, our experienced staff will guide you and offer their expert advice to make sure your perfect outfit makes you look and feel the part! Whether you are looking for a mother of the bride dress, a special occasion, smart cocktail party or something for your holiday, mélange should be your first destination in Truro! Costume jewellery, hats and accessories will complement and create stunning looks that you will feel comfortable to wear. 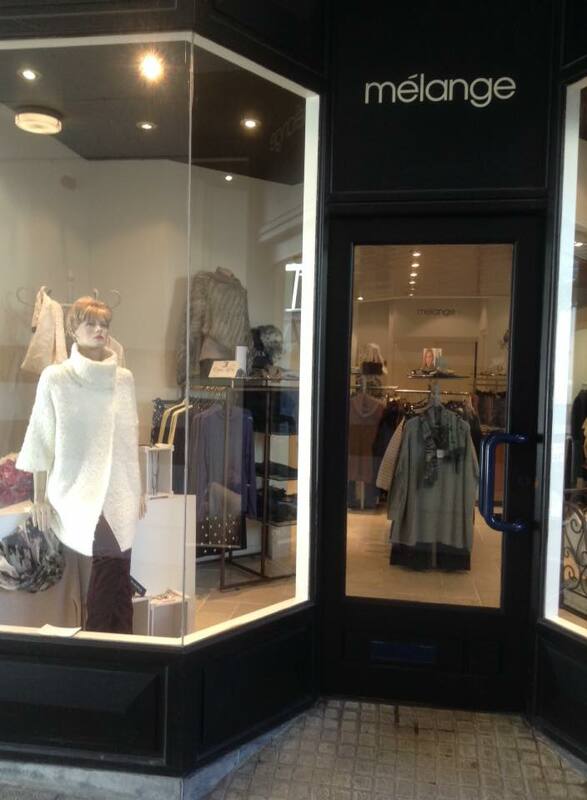 The boutique now stocks much more smart casual clothing, specialising particularly in trousers. We source the best fitting and stylish jeans and trousers so you don’t have to! These include selections from top ladies trouser companies Brax, Gardeur and Michele. To coordinate with your fabulous jeans, casual and classic trousers, we have sumptuous knitwear from Oui, and Viento Donna. And check out our quirky, must-have Just White shirts, and great casual tops.